restaurants. hotels. retail stores. manufacturers. convenience stores. program managers. food processors. coffee shops. airlines. Manage your quality processes from audits and assessments to supplier management. 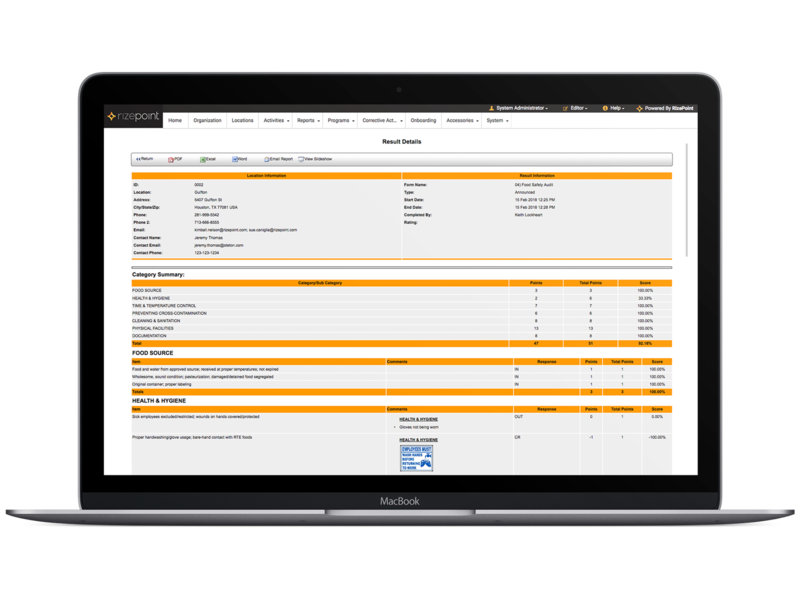 RizePoint’s quality management software empowers you to collect and analyze meaningful data so you can gain visibility, drive improvement, and keep brand promises. You’ll gather better data, see more with intelligent analytics, and spot trends so you act faster when issues arise. RizePoint makes it easy to gather real-time data with the Mobile Auditor app, plus the whole platform serves as an integration point for information coming from any and all of your data sources. You can integrate existing reports, connect your internet of things (IoT) devices, upload any document, and more to create a single source of truth. You have company-specific key performance indicators you need to track and measure, and RizePoint has the tools to help you find end-to-end visibility. 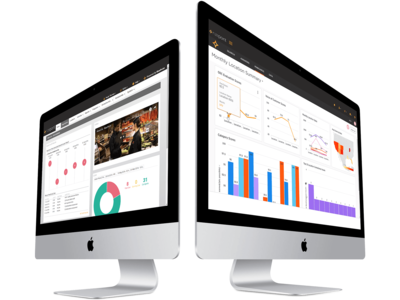 Dashboards and reports are configurable to your needs, including out-of-the box templates to get you started. 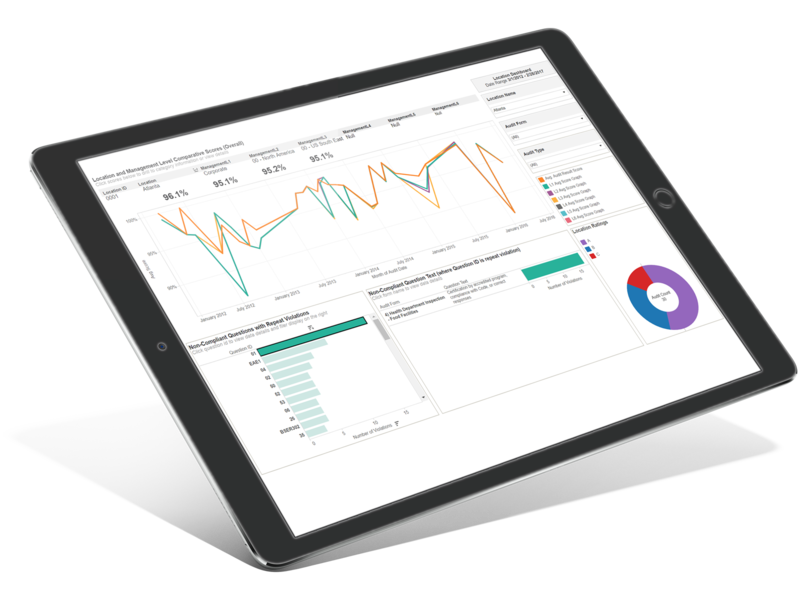 RizePoint’s built-in analytics will help you gain meaningful insights, and our Search-Driven Analytics add-on (SDA) with machine learning will make you a reporting powerhouse as you create ad-hoc reporting and QBR’s quickly and easily. With our SDA add-on, you’ll effortlessly create ad-hoc reporting with easy drag-and-drop pinboards. Keeping brand promises drives your need for fast corrective action. RizePoint helps you efficiently track and manage your corrective action/preventative action (CAPA) items. You can set alerts for expiring documents, automatically distribute predetermined workflows, and track timelines and approvals for proactive Corrective Action Management (CAM). Set triggers to automatically send corrective action items for failed questions or other noncompliance. Dashboard views help you manage and monitor corrective action and send reminders until items are resolved. Keep stakeholders informed during each CAPA cycle with automated alerts and easy email options.